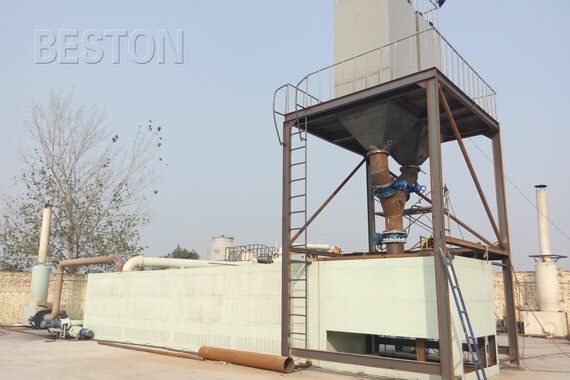 For the customers who want to make the waste pyrolysis plant operate automatically, save more manpower and handle more raw materials, the full continuous pyrolysis plant is the best choice. We have three types of BLL series auto continuously operating pyrolysis plant available for your choice, such as BLL-20. 1. Compared with traditional batch operating plants, our auto continuously operating pyrolysis plants have relatively larger processing capacities of 30-50mt per day. 5. Before pyrolysis, the tyres and plastics need to be cut into small pieces. 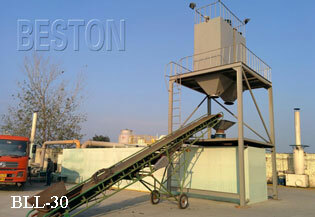 For plastic waste, if the materials’ humidity is higher than 15%, it also a dryer to dispose the waste first. This pre-treatment step can make the pyrolysis process more efficient. 6. The fully continuous operating plant can run for 24 hours a day without a stop and needn’t be cooled before the second batch. 7. 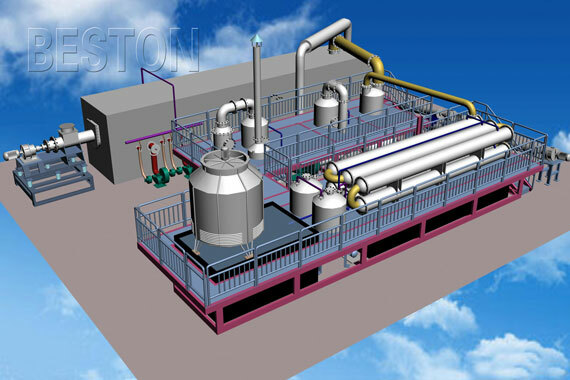 Our fully continuous pyrolysis plant adopts new type of condensers which has larger cooling area and better cooling effect. In addition, we can provide special catalyst, which is made from 24 chemicals. The catalyst can not only reduce sulfur content and density of oil, but also improve its flavor and color.